Peter has experience over a wide range of large-scale landscape projects including environmental, infrastructure, transport, commercial, public open space, town centre redevelopment, streetscapes, institutional and private mixed-use residential developments. He is particularly talented in masterplanning and conceptual design solutions, detailed design and project management. Recently, he has been honing his development masterplanning expertise on coastal residential and recreational developments. 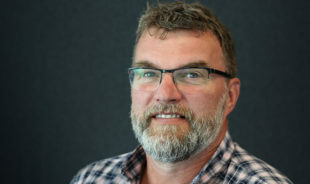 Peter has held design management roles on large, complex infrastructure projects such as the Newmarket Viaduct Connection, Victoria Park Tunnel and Waterview Connection and Kaikoura Transport Recovery projects. This has enabled him to develop his design management skills on large complex multi-disciplinary projects with the pressure of accelerated delivery programmes and political and public scrutiny.